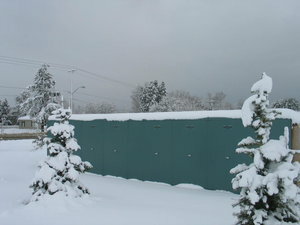 The water industry tends to think of the winterization of pumps and valve enclosures in the context of freezing water. Obviously that plays havoc with fresh water supply and waste water processing, and potentially jeopardizes safety with sprinkler systems. 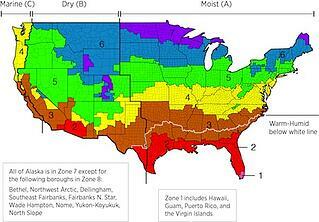 But weatherization and winterization are often more complex than just H20 and 32F. For instance, how about maintaining appropriate oil viscosities? Or snow loads? Or even slab heating vs. space heating? For engineers considering design features for pump enclosure winterization, there are 5 guidelines to keep in mind. Some of these may seem obvious - and they are. But there's a reason pilots use checklists - it's easy to overlook key details sometimes. It may sound silly, but this is based on the classic design principle you learned early on - the Goldilocks principle - not too big, not too small, but just the right size. Heating space is inefficient and oversizing your enclosure will drive up operating costs and require a larger heater. At the same time an enclosure that is undersized may leave equipment too close to exterior walls or leave portions of the slab exposed, allowing your heat to dissipate. The right enclosure heater is a function of size and design. You'll need to calculate the required wattage based on a number of factors including the anticipated outside temperatures, target ambient temp, size of enclosure and any heat your equipment will generate as it operates. The design should also consider the consequence / potential cost of a failure (consider redundancy, remote alerts or other options in case of failure) and it's typically best to focus on heating the slab. Obviously the biggest factor to consider is how cold it will get outside (for how long, with how much insulating snow cover, etc.) and the lowest acceptable ambient temperature for your equipment. Again, if it's keeping water from freezing that will likely be different than if you need to keep oil flowing or other processes on track. Start with your "zone" and then factor in the other factors. Aside from the skiers, we're guessing that most of you in the Northeast are hoping that winter 15-16 will be kinder to you than last year's. But you've got to plan on worst case, of course, and the 7 -8 ft of compacted snow that was common in many cases obviously places structural demands on your pump enclosure beyond just temperature winterization. Generally the ASSE Standard 1060 is a helpful guideline. While it's focused on backflow preventer valve enclosures, it's a reasonable planning tool for a pump skid enclosures or shelters for a wide variety of equipment. It covers snow and wind load requirements. What happens when something goes wrong? After all, over time something will. When you plan for pump enclosure winterization it's often for remote locations, and demanding industrial environments. Plan for that eventuality up front. When the remote temperature alarm buzzes, or the equipment itself alerts to a failure, your team still has to be able to quickly resolve the issue even when the conditions are harsh. Make that as simple as possible by designing in appropriate maintenance access. Position panels for direct access and provide roof access to hoist equipment out if required. The right design often requires more than just the blanket wrap solution or some standard stock enclosure. But knowing the questions to ask can substantially simplify the engineer's job. Our engineers are here to help you as we've helped hundreds of others trying to spec the right enclosure for the requirements. We'd be happy to provide a free consultation. Give us a call at 800.245.6333 or fill out our quick form.